Healthcare stocks cover a wide range of equities. Pharmaceuticals, equipment providers, insurers, pharmacies, technology, and even healthcare-related real estate investment trusts (REIT) can all fall under this category. However, these companies all benefit from the same trends. The share of healthcare in the overall U.S. economy continues to grow. The Centers for Medicare and Medicaid Services (CMS) estimates that healthcare encompasses about 17.9% of the U.S. economy. Moreover, with an estimated 10,000 baby boomers aging into Medicare a day, the pressure on limited healthcare resources continues to mount. While this can mean pain for the healthcare consumer, it can also bring benefit to those who invest in healthcare. With more of the baby boom generation on Medicare, a larger percentage of the population benefits from a healthcare subsidy. This gives a noticeable boost to healthcare stocks. Here are three that could help you benefit from this trend. 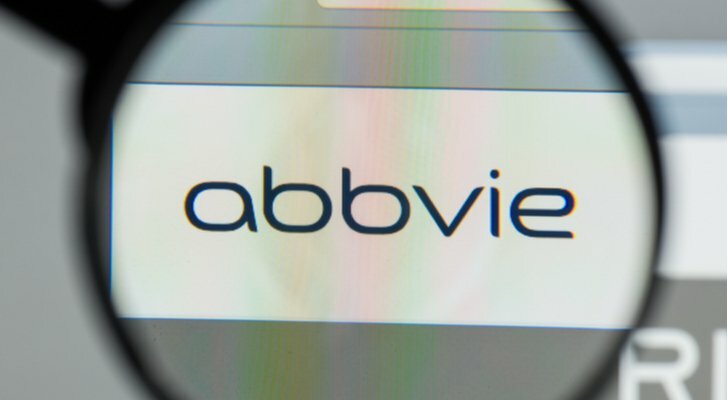 Few healthcare stocks find themselves in a better position for both income and growth potential than AbbVie (NYSE:ABBV). Abbott Laboratories (NYSE:ABT) created AbbVie when it spun off its pharmaceutical division in 2013. After a growth spurt in 2017, ABBV fell as concerns about patent expirations on its blockbuster drug Humira weighed on the stock. Today it trades at about 30% below its 52-week high. However, ABBV stock also looks well-positioned to make a comeback. The Humira-driven swoon in ABBV has taken the forward P/E ratio to around 9.8. This comes in well below the average P/E of 18.2 over the last five years. Moreover, Evaluate Pharma ranks AbbVie’s drug pipeline as second-best in the industry for value creation. Also, the company has time to transition to its next high-revenue drug. It will hold a patent on Humira in the U.S. until at least 2022. Analysts also do not seem worried as they predict profit growth of almost 10% per year through at least 2021. Furthermore, Wall Street considers AbbVie a dividend aristocrat due to its previous ties to Abbott. As a result, the company faces tremendous pressure to increase its dividend annually. AbbVie increased its payout from $3.59 per share to $4.28 per share this year. Hence, despite a generous yield of almost 4.9%, investors can probably expect annual increases in future years. Also, I see this massive dividend increase as a vote of confidence in itself. Couple that with the low P/E and the high ratings that AbbVie’s drug pipeline has received, and ABBV should be one of the few healthcare stocks which will outperform in both the growth and income categories. Buying Teladoc Health (NYSE:TDOC) amounts to buying into the future of healthcare. Without a doubt, the 17.9% of the economy that healthcare now consumes weighs heavily on family budgets. Teladoc allows patients to see a licensed doctor at any time via a PC or mobile device, reducing the need to take time off from work. It also saves money as visits can run as low as $40. Telehealth has only begun to realize its potential. Analysts estimate telehealth can handle about one-third of the 1.25 billion office visits that take place each year in the U.S. With Teladoc handling an estimated two million visits in 2018, the company still covers less than 1% of its potential market. Teladoc also shows that it can acquire the right partners to improve its quality and reach more patients. It widened its competitive moat by investing in diagnostic capabilities with a takeover of Best Doctors. 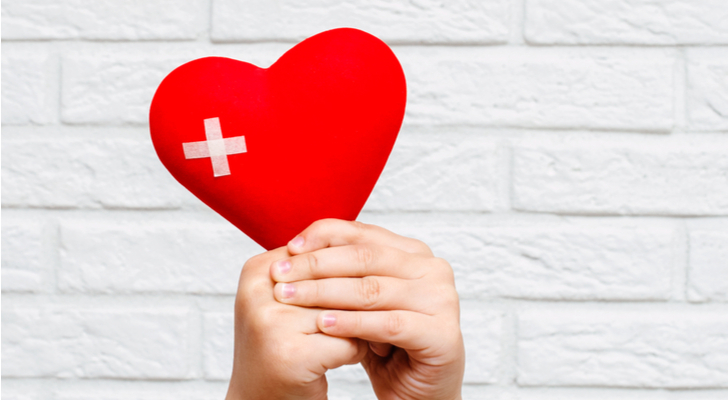 It also partnered with CVS Health (NYSE:CVS) to provide care to its customers. Additionally, it boosted its offshore footprint by buying Advance Medical. Advance Medical was the leading telehealth provider outside the U.S. before TDOC purchased the company. Investors should note that TDOC remains expensive. Its price in the $55 per share range places it at around 9.3 times sales. Still, it has fallen almost 40% from its October high. Also, revenue grew by 78% in 2018. Although that growth will fall over time, analysts estimate that the company will turn profitable in 2021. Teladoc remains one of the more speculative healthcare stocks. However, with a $3.8 billion market cap, and a majority market share in a business that has reached less than one percent of its full potential, Teladoc could become one of the best stocks in healthcare. 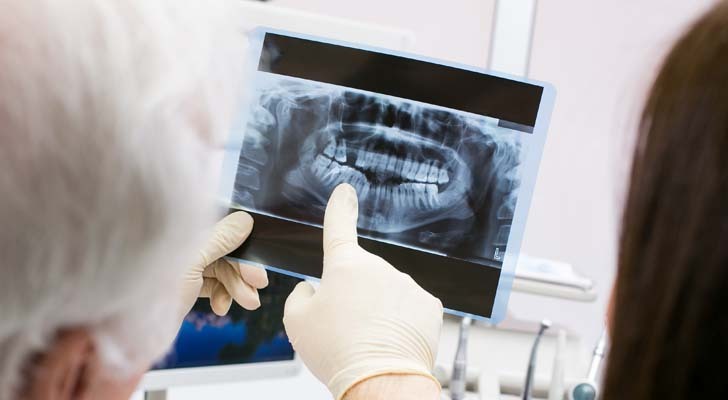 An aging population creates an increasing need for dental care and the equipment provided by Dentsply Sirona (NASDAQ:XRAY). As the ticker implies, Dentsply manufactures dental imaging equipment as well as consumable supplies and specialty dental products. Medicare rarely covers dental needs. However, many consumers place a high value on having a beautiful smile and the ability to chew food. Hence, most customers will spend money on services requiring XRAY’s supplies and equipment. This also holds true outside of the U.S. Dentsply Sirona conducts business in over 120 countries. These other countries account for about 65% of the company’s revenue. XRAY stock rose steadily between 2009 and 2018. However, in 2018, the stock lost almost half of its value. By late October, it traded as low as $33.93 per share, a level first seen in 2011. The stock sold off for most of the year on lower-than-expected sales. An impairment charge on goodwill and intangible assets in the second quarter hurt earnings. The stock fell by nearly 20% on August 7 following this announcement. However, management responded with a restructuring plan. While that breeds uncertainty, the forecasts indicate an opportunity for buyers. The forward P/E ratio stands at around 18, well below the five-year average of 28.1. Furthermore, analysts predict 11.2% consensus profit growth this year. They also foresee double-digit profit increases through at least 2021. XRAY faced a great deal of pain in 2018. Still, the need for dental supplies and equipment will only rise in the coming years. For this reason, the lower multiple and the predicted profit growth should bring about a recovery in Dentsply Sirona. As of this writing, Will Healy is long TDOC stock. You can follow Will on Twitter at @HealyWriting. Article printed from InvestorPlace Media, https://investorplace.com/2019/01/3-healthcare-stocks-buy-healthy/.